Olympian hockey player, Richard Yang Siow Meng is soft-spoken, works from the background, shuns publicity, is modest and humble, has contributed to the hockey immensely. He nearly died two months ago and it would have been sad if he had passed on without the due recognition bestowed on him not only for his prowess as a player and coach but for the foundation he has laid for Malaysian hockey. Yang who turned 69 on July 1, was floored by a freak bicycle accident in May where he hurt his knee, which turned septic and eventually saw him contract pneumonia which went to affect his heart. He was hospitalised for almost two months, but has finally recovered and slowly getting back to his feet. At his home, Yang recalled his fateful day when he was getting on to his bicycle to go for his round of cycling around his neigbourhood. “I lost my balance and fell down. I had some bruises on my knee and after I had cleaned it up, I went for my cycling,” recalled Yang. “It was after five days that my left knee swelled up badly and was painful. I decided to go to hospital and immediately I was admitted, as the bruise had turned septic. “They syringed tubes of pus and I was diagnosed for pneumonia and my heart too was weak. It was an agonising period and the doctor told me it was life threatening and was lucky I survived. “I am glad that I am finally cleared and on the road to recovery,” said Yang who had on Tuesday gone for his final follow-up checkup at the hospital who after series of tests gave him the clean bill. It is hoped that, now that Yang has survived the life threatening illness, he will be accorded the recognition he truly deserves. Yang who played in the 1968 Mexico City and 1972 Munich Olympics could have made his debut for the Tokyo Olympics in 1964 as a schoolboy, but he had withdrawn from the squad because of his Form Five examination year. 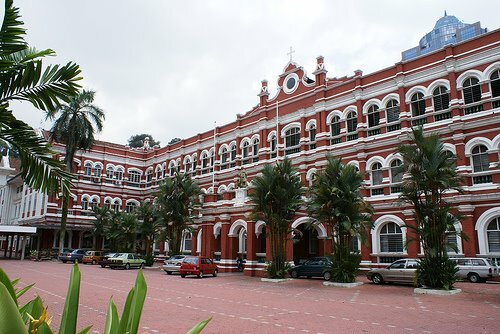 Yang who hails from Malacca, known for the many hockey players it has produced, went to the country’s second oldest school - Malacca High School (MHS) 1826 - the second oldest educational institution after Penang Free School (founded in 1817). The school is noted for producing top sportsmen, who went on to make the national teams at athletics, cricket, fencing, football, archery and even bodybuilding and taekwondo, but hockey remain the preferred choice. Beginning in the 50s, when Malaya first competed at hockey at the 1956 Melbourne Olympics, the late Bakar Said set the game’s playing credentials list into motion with the late Chua Boon Huat, the latest of a scroll of national hockey talents nurtured at MHS. MHS’ other notable double hockey Olympians beside Yang, include Koh Hock Seng (1964 Tokyo and 1968 Mexico City) and Lim Chiow Chuan (1992 Barcelona and 1996 Atlanta). The other MHS produced talents that donned national colours include Benny Soon Seng, Goh Tiong Hui, Haricharan Singh, Ismail Ali, M.Selvanathan, M.P.Haridas, Micheal Goh Doh Jin, Tam Chiew Seng, Tham Kong Onn, Tham Yeow Kong and Teoh Choo Beng. But Yang etched a record in alma mater which will be hard to match – as Sportsman of the Year for five consecutive years. 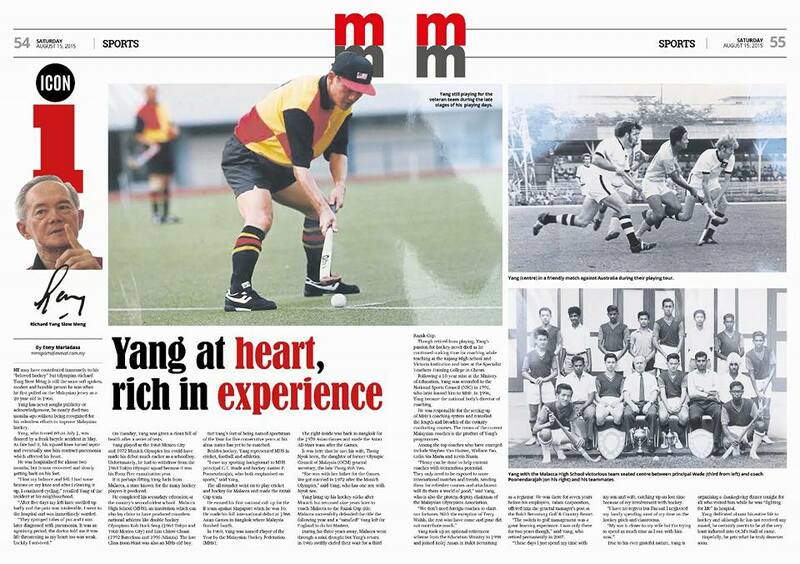 Yang besides hockey, represented the school in cricket, football and athletics. The all-rounder represented Malacca in both hockey and cricket. Yang made the Malacca state team for the Razak Cup tournament as a schoolboy. “I owe by sports background to principal C.T. Wade ((1962-1965) and hockey master P. Poonendarajah, (a popular MHS hockey master from 1955 to 1968 and then again from 1972 to 1987), who emphasised on sport and were dedicated to sports,” said Yang paying tribute to them. Yang was indeed a true sportsman for when he was in University Malaya (1967-1970) doing his bachelor of science, he as accorded the University Blues award. The right-inside earned his first national call-up to play for the national B team for an international match against Singapore as a Form Four student. His first full international was for the 1966 Asian Games in Bangkok where Malaysia finished fourth. In 1969, he was named the Hockey Player of the Year by Malaysian Hockey Federation. He was back at the 1970 Asian Games in Bangkok too, where Malaysia finished fourth again. He was also selected for the Asian All-Stars team after the Games. It was in Bangkok, he met his wife, Thong Nyok Seen – the daughter of former Olympic Council of Malaysia general secretary, the late Thong Poh Yen. “She was with her father for the Games when I met her. We got married in 1972 after my stint in Munich for the Olympic Games,” said Yang who quit playing after that. He returned to the game to coach Malacca in the Razak Cup tournament in 1981 to steer them to become champion for two years, before he left to England to do his Masters, where he was for three years. When he returned he again coached Malacca to their third Razak Cup title in 1985. Yang dedicated his life to hockey and despite his job as a teacher at Kajang High School and later at Victoria Institution and then as a lecturer at the Specialist Teachers Training College (STTI) in Cheras, he still made time for coaching. In 1981, Yang was transferred to the Ministry of Education where he was involved in with the teachers’ education division before being seconded to the National Sports Council (NSC) in 1991, He was later loaned to the Malaysian Hockey Federation (MHF). 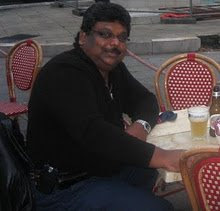 He was already involved with the coaching programme for the Junior World Cup team from 1987 to 1989 before his work with MHF assisting in their coaching setup. In 1996, Yang did not renew his contract with NSC and became the Director of Coaching with MHF. 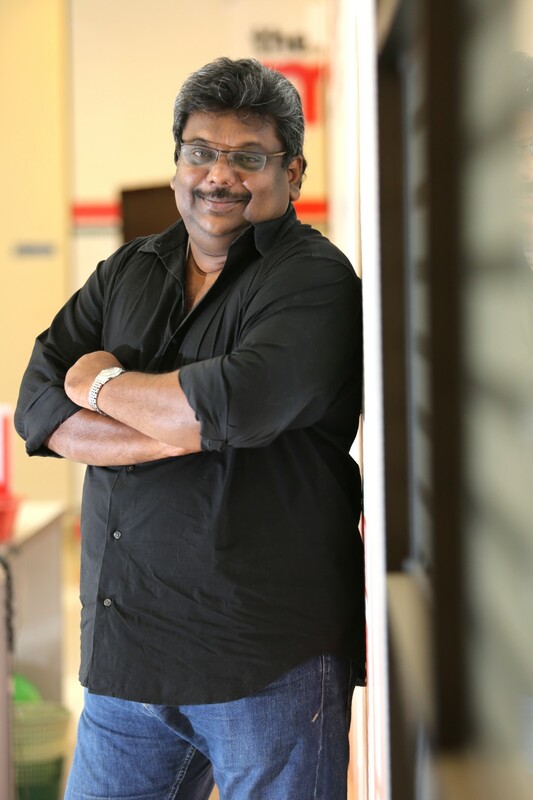 He was responsible of the setting up of the coaching system in the country and travelled the length and breadth of the country conducting courses. The cream of the current Malaysian coaches is the product of Yang’s programmes and not to mention all the grassroots and club coaches. Among the top coaches who have emerged include Stephe Van Huizen, Wallace Tan, Colin sta Maria, Zulikifli Abbas, Kevin Nunis, Lim Chiow Chan, Yayha Atan and V. Sasidharan. Asked about the current standard of coaching and game, Yang simply said: “It has come to a standstill. “There is plenty which can be done for the coaches who have tremendous potential. They only need to be exposed to more international matches and trends. Sending them for refresher courses and attachment will do them world of good. “We certainly do not need foreign coaches to chart our fortunes. With the exception of Terry Walsh who did well for Malaysia, I personally feel that rest who have come and gone, have not contributed much,” said Yang who is also the protem deputy chairman of the Malaysian Olympians Association (MOA). Yang after taking his optional retirement from the education ministry in 1998 joined the private sector where he worked as a registrar of a private college, (Kolej Aman) in Bukit Beruntung. 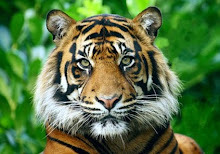 He was there for about seven years before the company which employed him, Talam Corporation, asked him to take over the Bukit Beruntung Golf & Country Resort, as General Manager. “It was a great learning experience from hockey to golf management. But I stayed only for two years after which I retired permanently in 2007,” said Yang who only has one son, Eugene, a businessman who is in his forties and not married. “I just spend my time with my son and wife these days, catching up on lost time with them because of my involvement in hockey. “I have no regrets with involvement with hockey, but I just sad that I neglected my family as I spent most of my time on the hockey pitch and classrooms. Indeed Yang has indeed dedicated his life to the sports of hockey and although he has not received any awards and says that he does not look forward to any form of recognition because it was his passion and love for the game that he has been involved and contributed, he certainly deserves to be at the least to be inducted to the Olympic Council of Malaysia Hall of Fame.